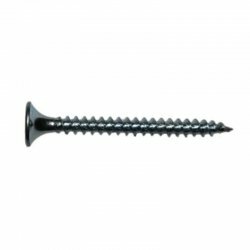 Non-jamming collated drywall screws, fine and coarse thread with a sharp point. 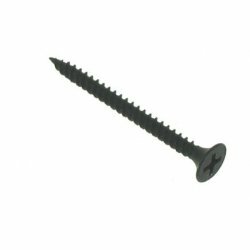 These drywall screws have a black phosphate finish for increased durability. 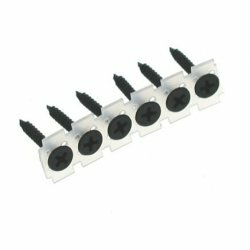 Their Bugle Head allows the screw to sink effortlessly into the dry lining without the need for countersinking, which in turn minimises the damage to the surface. 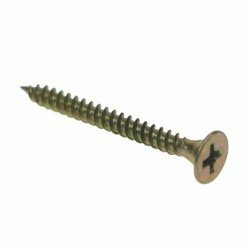 These drywall Screws have a zinc yellow plated finish for increased durability. Their bugle head allows the screw to sink effortlessly into the dry lining eithout the need for countersinking, which in turn minimises the damage to the surface.